Tołpa Dermo Face – hypoallergenic care line Sebio. Sebio is one of many face care cosmetic series designed by Tołpa – a Polish cosmetic brand working since 1989. 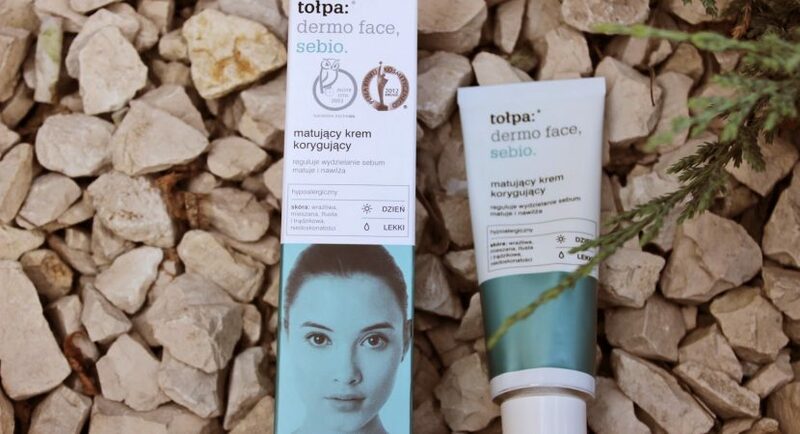 Tołpa Dermo Face Sebio consists of eleven products designed for super sensitive skin, which tends to experience the great problem of constant reappearing of imperfections. What is the secret of Sebio series by Tołpa? Tołpa is a brand which key motto is ‘A small, big care‘. As the only one on the word, it patented the unique peat extract. Now, the ingredient is the core element of all Tołpa cosmetics. The same concerns Tołpa Dermo Face – a face dermocosmetic designed with conscious and deliberate complexion care in mind. Another feature of the brand is the eco-friendly attitude and hypoallergenic products, obviously, as mentioned before, suitable for sensitive and super sensitive skin. Sebio is a series for treating skin with imperfections. The cosmetics are divided into three categories – for basic care, companion care as well as cleansing and toning. Dermocosmetics Sebio is an effective and organic method of fighting against skin imperfections. How does it work? First and foremost, the formula of Dermo Face Sebio products is designed to eliminate the cause not to camouflage developed imperfections. Dermocosmetics by Tołpa regulate sebum production and have miraculous antibacterial working. All of these make skin pores unclogged in a natural way, relieve irritations and eliminate redness. As Tołpa emphasises, despite some strangely-sounded ingredients, none substance is included into the composition by mistake. In fact, Tołpa can boast about a few things. For example, their products are made of a complex of natural plant substances closed in packages which are completely recyclable. The very packages facilitate distribution of cosmetics guaranteeing that the products preserve their freshness for long. Tołpa Dermo Face are products tested dermatologically, the ones that do not contain allergens, artificial colourants, silicones, parabens nor other damaging ingredients. Instead, what we can find in this Polish cosmetic company products are two patented by Tołpa ingredients – peat and bilberry, as well as many other plant extracts like bark of the cinnamon tree, myrrh, papaya, passion fruit, grapes, aloe, pineapple and even and liquorice. Fragranced works of art. JonOne for The Guerlain.